On the 15th of September this year a dog in extremely poor health wandered in to a yard in Geraldton, WA. The unnamed dog had no identification and was severely malnourished, neglected and injured. The stray dog had a gentle and loving nature, despite her obvious distress, and help was sought out to identify the dog on Facebook. The dog was too ill to be impounded and required immediate medical attention and nutritional care. 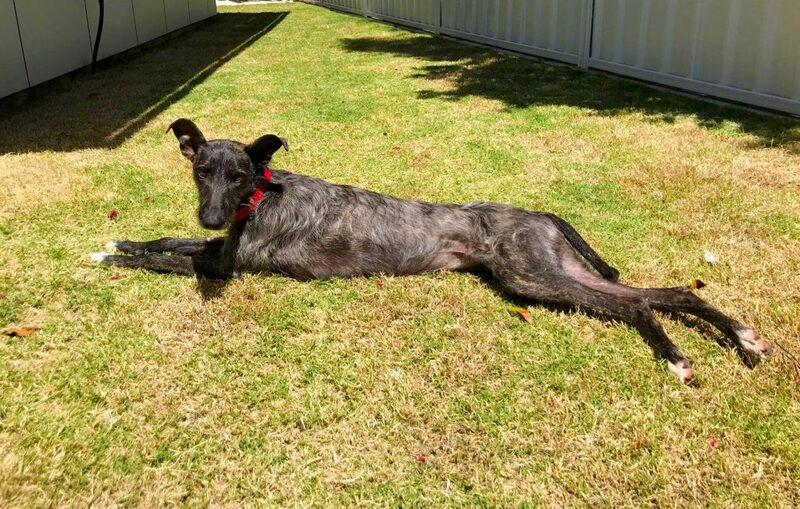 The dog remained in veterinary care with Chapman Animal Hospital during her impoundment time but unfortunately nobody came to collect her, so the team at Geraldton Dog Rescue stepped in to try to rehome her. Geraldton Dog Rescue took the dog to Sanford Veterinary Clinic to complete a health assessment and it was discovered that “Francesca” or Frankie for short, (as named by the attending vet), had a grade five heart murmur. As there was no option for adoption for dogs with significant medical issues, Frankie was placed in palliative care. Despite knowing that Frankie’s time was limited, her capacity to love and be loved was not. The team at Sandford’s reviewed and discussed Frankie’s case over and over to try to identify every possible diagnosis or cause and build a medical history to send to Murdoch University. Frankie was reviewed by the team at The Small Animal Hospital at Murdoch University where they discovered something odd. Seeking confirmation of their unusual findings the Murdoch University team contacted the University of Sydney who provided preliminary confirmation that Frankie had an extremely rare heart condition known as Cor Triatriatum Dexter (a condition resulting in extra atrial chambers in the heart). If Frankie could make it to Sydney by early November, corrective surgery could be performed. With no way to feasibly afford to get Frankie from one side of the country to the other in the required time, Frankie’s carers contacted Tarsha Andrews at Pet Rescue to see if there was anything that could be done to help save poor Frankie’s life.Tarsha then reached out to Pet Rescue’s animal transport partner, Jetpets, to arrange for Frankie’s return trip from Sydney, as she was booked on to Virgin as passenger cargo for her trip to Sydney. Frankie is now home with her new family and is loving life with a new furry best friend to play with as well as a loving and supporting home to live in. Frankie’s story is one of triumph over adversity and an example of what can happen when individuals and organisations work together to make a difference for one animal, whom will now go on to make a difference in the lives of everyone she meets. Frankie’s new family wishes to thank each, and every person and organisation involved in saving Frankie’s life. We couldn’t be prouder to have been involved and we wish Frankie the very best as she continues to brighten the lives of those around her.